Cromac Smith combines ocean and airfreight into one through movement. It gives an alternative transit and pricing structure to the extremes offered by ocean and airfreight. Our service operates on the major Asia to Europe trade lane utilising as its major hub, the well-located and highly efficient ports and airports of the UAE. From Hong Kong by sea to Dubai/Sharjah, then by air to London. Other services are available using hubs in Korea, Singapore and Vancouver. Not all available origin port and route options can be included in this site. Please contact us for any not shown. Many companies consider Sea Air to be the ideal mode of transport and build it into their supply-chain systems alongside existing ocean and airfreight services. 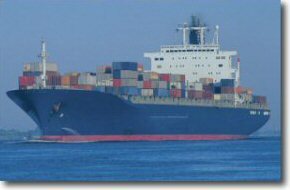 As a specialist sea-air carrier, Cromac Smith Ltd is not involved in airfreight, ocean freight or customs clearance. It therefore works closely with, and on behalf of, many freight forwarders and logistics suppliers to benefit our mutual clients. Cromac Smith Ltd, Leamington Spa, Warwickshire, U.K.